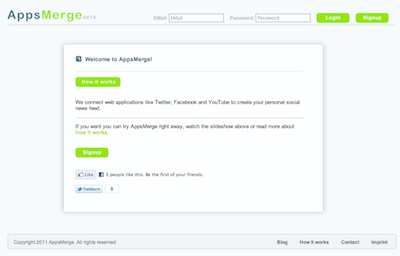 The idea behind AppsMerge is to combine your preferred web applications, so that you have a centralized newsfeed and can share content easily. It combines what you visit daily! Previous post: FiversWorld.com – What would you do for $5?